In her final novel, Dorothy West offers an intimate glimpse into African American middle class. 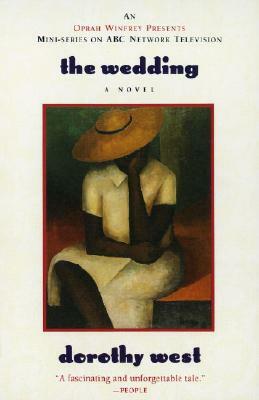 Set on bucolic Martha's Vineyard in the 1950s, The Wedding tells the story of life in the Oval, a proud, insular community made up of the best and brightest of the East Coast's black bourgeoisie. Within this inner circle of "blue-vein society," we witness the prominent Coles family gather for the wedding of the loveliest daughter, Shelby, who could have chosen from "a whole area of eligible men of the right colors and the right professions." Instead, she has fallen in love with and is about to be married to Meade Wyler, a white jazz musician from New York. A shock wave breaks over the Oval as its longtime members grapple with the changing face of its community. With elegant, luminous prose, Dorothy West crowns her literary career by illustrating one family's struggle to break the shackles of race and class. Dorothy West founded the Harlem Renaissance literary magazine Challenge in 1934, and New Challenge in 1937, with Richard Wright as her associate editor. She was a welfare investigator and WPA relief worker in Harlem during the Depression. Her first novel, The Living Is Easy, appeared in 1948 and remains in print. Her second novel, The Wedding, was a national bestseller and literary landmark when published in the winter of 1995. A collection of her stories and autobiographical essays, The Richer, The Poorer, appeared during the summer of 1995. She died in August 1998, at the age of 91.